With fifty plus years of combined real estate experience, local residents Jeff McConville and Jeff Butcher are uniquely well suited to help clients sell their treasured home or investment property, or find, evaluate and purchase real estate. 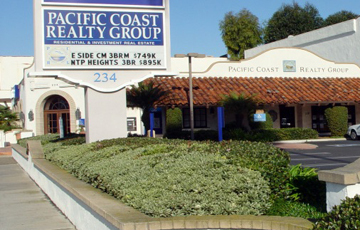 Jeff and Jeff are agents with Pacific Coast Realty Group, the only active real estate office on East 17th Street in Eastside Costa Mesa. Over ten years ago Jeff and Jeff combined forces to create Jeff² Real Estate. They specialize in the cherished communities of Newport Heights, Westcliff / Dover Shores and Eastside Costa Mesa. that our clients, friends and their families call home. Please consider contacting Jeff² for a further evaluation of your home you are considering selling or discuss your future plans of purchasing. The Jeffs were there when I needed them. I couldn’t have sold my home as smoothly and quickly without the team. When either of you are in AZ, mi cas... Read more - Bryan W.